Why should I choose you MyAirbags? MyAirbags was established in 2006. We are global leader in airbag module reset and seat belt repair. We have experience and knowledge. We specialize in automotive electronics repair. Our goal is to provide affordable solutions to rebuild your original parts and save you hundreds. We are committed 100% to make sure our customers are satisfied with our service. At MyAirbags, we are committed to providing our customers with fast, cost-effective and guaranteed automotive electronic repairs. Our highly-trained technicians work to repair a variety of automotive and other electronics, all at an affordable price. We spare customers from having to pay for costly replacement parts at their dealership, and instead provide them with a quick and easy specialized service. 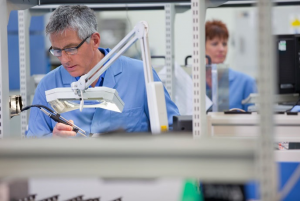 We work under only the highest industry standards of quality, and our re-manufactured electronics are built to last. One of the most important tenets of our business that sets us apart from other repair shops is that each of our technicians are IPC certified, industry standard of electronic repair work. In short, our technicians are experts in their field and only produce the highest quality work. The process of IPC certification is rigorous and detailed, and this designation proves that we value both our customers and our work. We are also members of the Automotive Service Association (ASA), an organization dedicated to the advancement of excellence in the automotive repair industry. At MyAirbags, our customers can rest assured that any parts returned to them will be of the highest quality and of the best craftsmanship. Not only do our Metro Atlanta area customers have access to our electronic re-manufacturing services, but we also provide a convenient mail-in service to customers nationwide. During this simple process, customers mail us their electronic part in need of repair, our technicians complete the repair as soon as it arrives in our workshop, and we ship the item back out within 24 hours. This system allows customers across the United States to have access to our quick, specialized, affordable service. MyAirbags was created to provide consumers with a cost-effective solution to dealership repairs. Everyone who has had to wait days (or even weeks) for a costly replacement part from a dealership knows how frustrating that process can be, and we provide a simple alternative to our customers. Since we often rebuild or re-manufacture electronics rather than simply replacing them, we are able to save customers hundreds of dollars. Our re-manufactured electronics are made to not only correct previously existing flaws, but also to prevent future issues. How do I send my item for repair? MyAirbags Q&A: How do I apply a discount coupon code?